There’s something magical about a fan’s first game. Whether a young kid, teenager or adult, they’re going to remember everything about that first visit: the excitement as they near the venue entrance; the fandom; the team chants and cheers; the music; the pre-game hype; even the smell of the stadium food. These truly are experiences that last a lifetime, which can turn even the most casual of fan into a fanatic. This is why first-time ticket purchasers are some of the most valuable audience segments for teams today. As consumers continue to be inundated with choices about where and how to engage with teams (think OTT channels and streaming content), the first-game experience is more critical now more than ever before. Two days before the game, she receives an email alerting her that she and her family have been invited to a custom, VIP experience prior to the game—all she needs to do is download the Sporting Kansas City mobile app to redeem this offer. 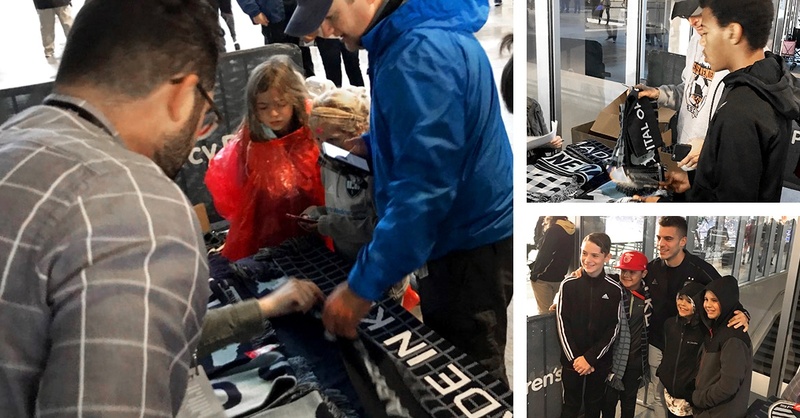 While she receives a few reminders via push notifications, she arrives to the stadium a few hours before kick-off, ready to tailgate with her husband and son, take him to the kid zone and redeem their unique offer. She gets an alert that the experience is now open, which includes a map of the VIP area called out just for them. They enter the stadium and find the VIP area where they are greeted by employees and claim their free team scarves. Her son, thrilled, throws it on as they get ready to take a photo with Colton Storm, one of the rising stars on the team. She posts the family photo with Colton to Instagram and Facebook, raving about her experience, the game and how her son is now a Sporting addict—”#ForGloryForCity and for Sporting” as the caption says. Post-game, her son is sporting his new Colton Storm jersey purchased at half-time and they are reliving their VIP experience the entire car ride home. This gesture of hospitality and community is now preserved in their memory for years to come, and she’s ready to buy tickets for the next home game. It’s not about celebrating their purchase. It's about curating an experience that represents the fandom unique to the team. Understanding how and when to capture first-time ticket buyers on their journey while weaving in this sense of community is what matters. This results in a remarkable experience for these fans, forming emotional connections that can last a lifetime.